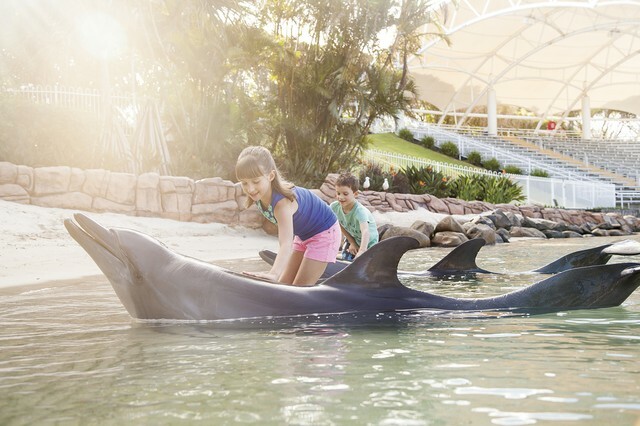 As well as being Australia’s premier marine park, Sea World Resort & Water Park has been voted the Best Family Resort in Australia by Holidays With Kids and TripAdvisor’s Number 1 Family Hotel in Australia. With a reputation like you can be sure the whole family is going to have a blast! 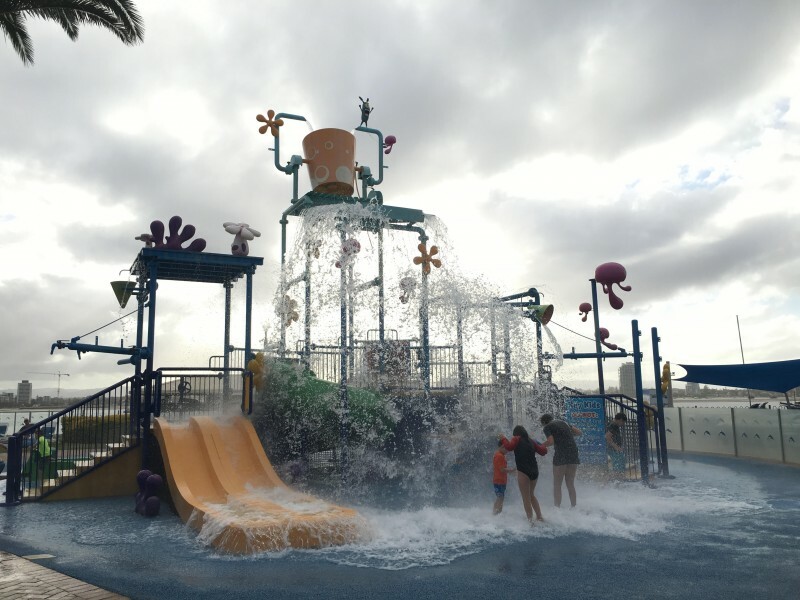 Here is what you need to know about Sea World Resort & Water Park and a few bonus tips on making your Sea World holiday as amazing as possible! As soon as you enter the sleek, refurbished lobby with sprawling views across the Broadwater you will be impressed with this resort. You can immediately see everything you need from the 24-hour reception, concierge, tour desk, and The Last Resort souvenir, fashion, & grocery store to the all-important lobby bar and lounge. The rooms rise three levels and surround a tropical garden, giving it a relaxed, jungle ambience. The entry level room is the Resort Double, which is surprisingly spacious for a hotel room. 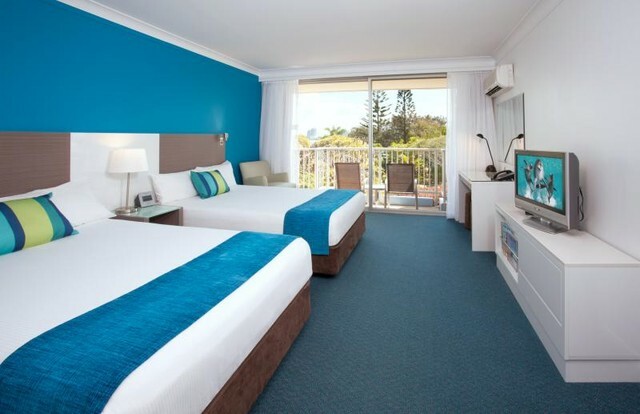 It is equipped with two double beds, cable TV, air conditioning, tea and coffee making facilities, and a private balcony or courtyard – most of which have beautiful ocean views over the Broadwater. From here, there are several upgrade options including the hotel deluxe room, deluxe studio room, and the deluxe view room which accommodate up to 4 people. While the resort queen sleeps up to 5 and the deluxe family studio is equipped for 8 people. Being an award-winning family resort, Sea World Resort is equipped with a fantastic kids club that runs daily from 5.30pm – both in and out of school holidays! 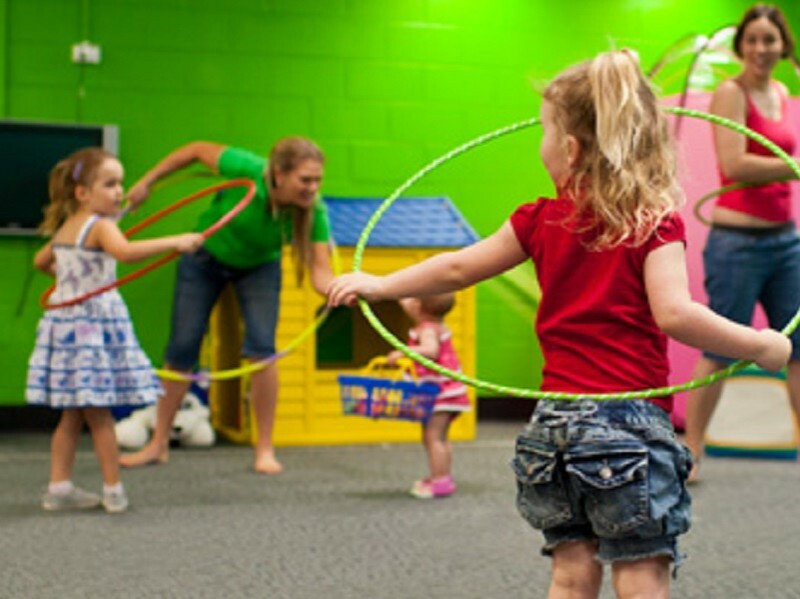 So after a day of family fun, you can pop the children in kids club and enjoy some adult time over a romantic dinner. With four restaurants and two bars to choose from, you may have to take advantage of the kids club more than once! Shoreline restaurant is home to a delicious buffet breakfast and nightly themed buffet dinners including their famous seafood buffet. 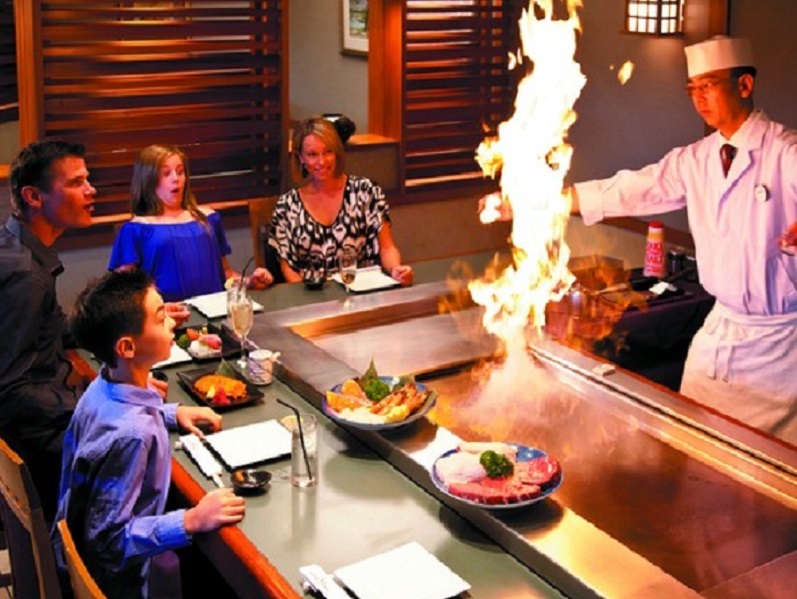 While the award-winning Hatsuhana Restaurant offers authentic Japanese cuisine from the A La Carte or Teppan menus. The Waterfall Café offers casual dining on fresh and scrumptious meals with a great view of the lagoon pool and waterfall. Finally, the lobby lounge offers light meals from pizzas and sandwiches through to a sizzling steak, not to mention, they make a mean cocktail. Why not take ‘lazing by the lagoon pool’ up a notch, and visit the Sea World Resort Massage and Beauty Spa? Open from 9am til 9pm you can save by booking ahead of time. Indulge in a relaxing massage, choose a beauty and massage combo or make it romantic with a couples massage. Love adrenalin? Or do you simply love the water? Sea World Resort Water Sports boasts activities that will put a smile on anyone’s face! 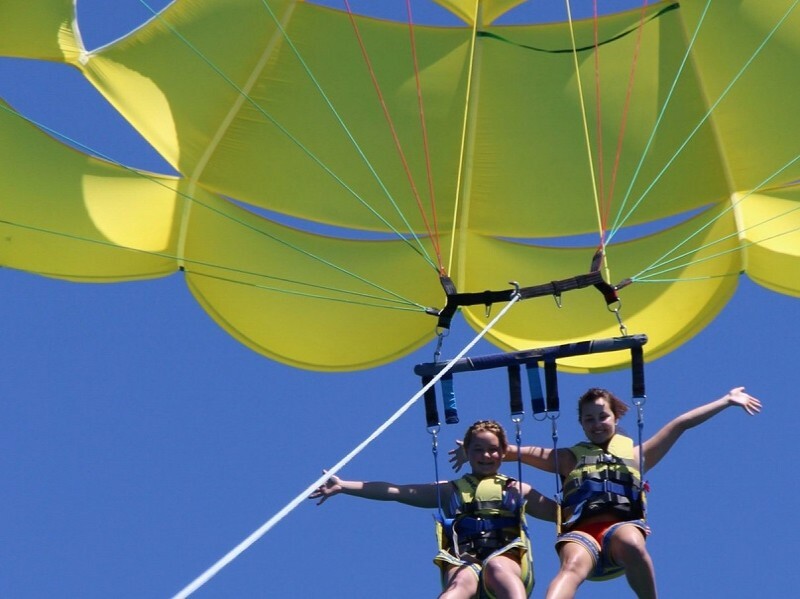 Fly high on a parasailing adventure or go for a heart pumping jet ski ride, or jump on a jet boat! You can even package the three together! 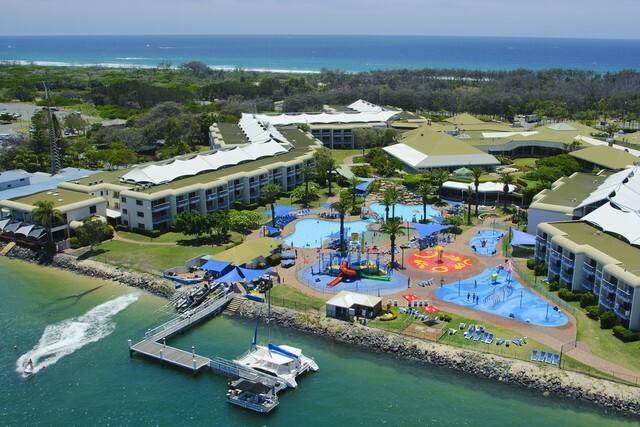 Situated on the beautiful Broadwater, Sea World is in the perfect place to entertain you with their amazing water sports playground. This television inspired, multi-million dollar area includes three distinct character neighbourhoods - SpongeBob SquarePants, Teenage Mutant Ninja Turtles, and Dora the Explorer. The kids will love the four new rides including Sea World’s first ever mini roller coaster, as well as the entertaining shows, /and all your favourite characters. 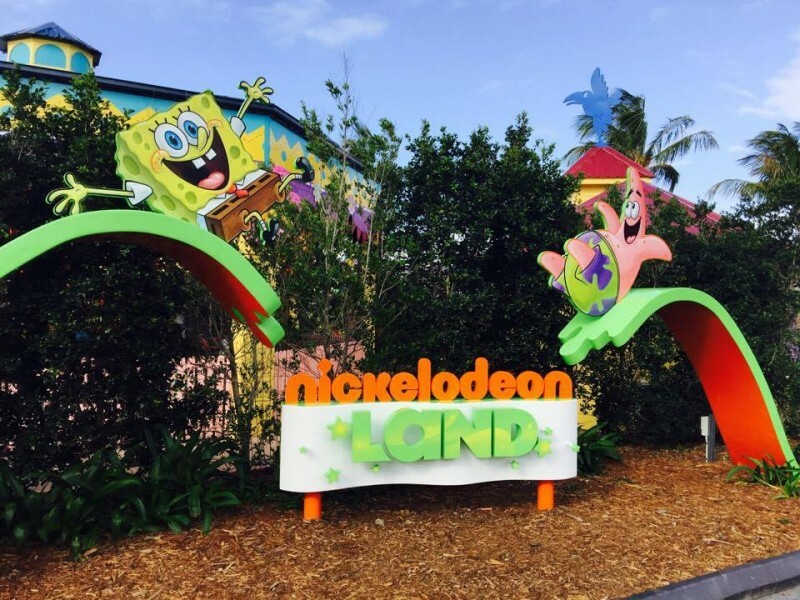 Resort guests have exclusive access to the park’s ‘Meet a Character’ appearances each morning from 9am, where SpongeBob SquarePants, Patrick, Dora, Diego or one of their friends greet guests in the lobby! The kids will love meeting their favourite characters and having pictures with them to remember the experience forever. Want to know how to streamline your day and make the most out of your Sea World Theme Park experience? Read on to discover our Tips to Make the Most out of your Sea World Holiday!